While thousands in Nashville were running the Country Music Half Marathon, I was doing my own 13.1-mile run this morning. There was not a group run today, so did a solo-run starting off at the Chickering Rd entrance of Percy Warner Park and then running to Radnor Lake and back. While I did have one stretch from miles 7 to 10 where I felt good, the majority of this run was brutal. I made the mistake of not carrying fluid with me, and the temperatures got up into the mid-70s before I finished. I was also dealing with a lot of soreness and fatigue from my hard track workout on Thursday. I really struggled with the fatigue and soreness on the way out, and several times I thought about just cutting it short. 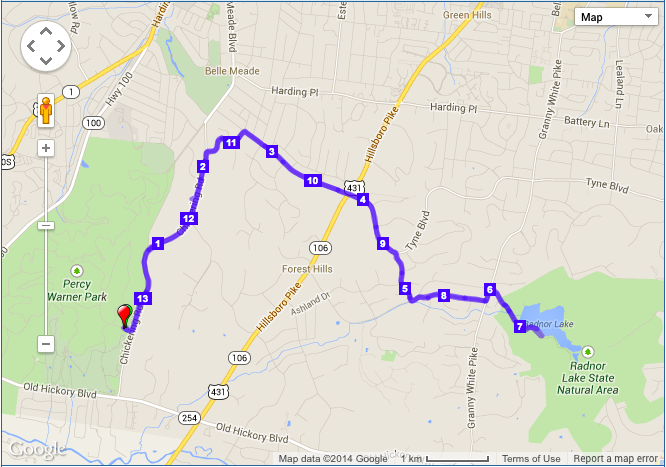 However, the payoff in the middle was awesome getting to run for a little bit by the beautiful Radnor Lake. I was also finally able to get some fluids (and take a GU) at the Nature Center. Once I started back, my legs came alive for a few miles, and I got into a nice little groove. This lasted until I was about halfway through mile-11, and the heat started getting to me. I still kept a decent pace, but couldn’t wait for the run to be over. Even though this was clearly not one of my better runs, I still did all but 3-miles under 9:00 pace (I was not trying to push it). 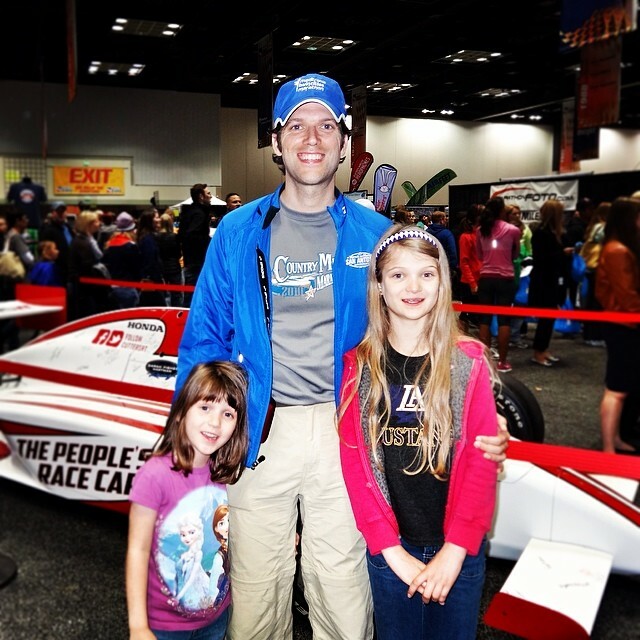 Hopefully there will be cooler conditions for the Indy Mini Marathon next weekend. I believe that 2012 was the first time I had ever written down my running goals, and I ended up with a pretty successful year in spite of my stress fracture. For 2013 I’m doing away with all goals related to total mileage or running a certain number of races, and instead focusing on racing achievements. Stay Healthy – This first one is a direct result of missing 6-weeks of training with a femoral stress fracture in 2012. While this could mean a lot of different things, I’m going to try and put a quantifiable measurement on it. My goal is to avoid any running injury that would cause me to miss more than a week of training. To work toward this goal I’m going to try and be smarter than I was in 2012, however I still plan on pushing the envelope as it relates to my capabilities. 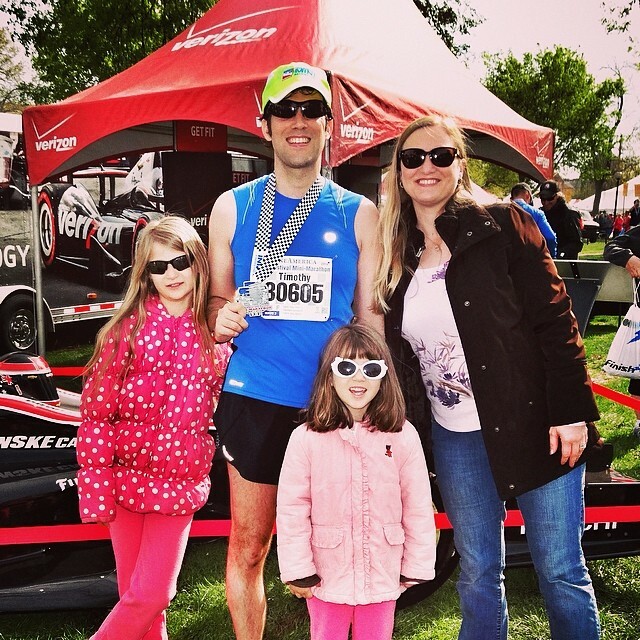 Qualify for the 2014 Boston Marathon – After completing my “Quest for 3:15” last year, my attention immediately shifted to qualifying for Boston. In order to qualify for 2014, I will have to run a sub-3:10 marathon (7:14 average pace) between now and early October (most likely). My current PR is 3:12:28, but I’m still trying to regain my speed and endurance after coming back from the stress fracture. My first chance at this will be on February 24 at the 2013 Rock n’ Roll NOLA Marathon, which is also the site of my current PR. It’s probably unrealistic that I’ll be ready for a BQ by then, but I do think it is achievable in 2013. Run a Sub-1:29 Half Marathon – My current PR of 1:29:52 was set on one of the hardest courses that I’ve ever run at the 2012 Oak Barrel Half Marathon. I’ve had a lot of bad luck In other races with much faster courses, and I do not feel that my PR is indicative of my capabilities, especially at their peak in 2012. To that end, I want to break 1:29 (or better) in 2013. That will require maintaining an average pace of 6:47, which is a bit daunting. Finish in the Top 500 at the 2013 500 Festival Mini Marathon – This is one of my absolute favorite races, and I’m registered to participate for my 5th consecutive year in 2013. The Mini is the largest half marathon in the US with 35,000 runners. To go along with the “Indy 500” theme, the first 500 finishers get a special medal in addition to the normal medal that all finishers receive. I got one of these for the first time in 2012 with a finish time of 1:31, but this was aided by the oppressive humidity for last year’s race. In previous years, it required a finish time of 1:28 or better to achieve this mark. Well, there it is for what it’s worth. 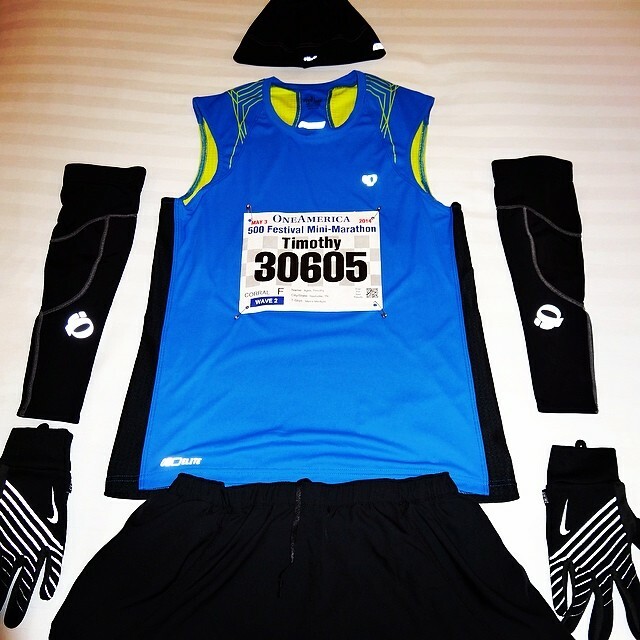 What are your running goals for 2013? This is on my bucket list! Do you live in Indiana? I went to school at IU so I would love to do this race. Maybe next year. I actually live in Tennessee, but love Indianapolis and love this race. It is a good race to put on a bucket list. A lot of race directors could learn a lot from the organization of the Mini Marathon. Just registered for the One America 500 Festival Mini-Marathon (the Mini) for the fifth year in a row. The Mini is the nation’s largest half-marathon, having sold out with 35,000 participants for the past 11 years. 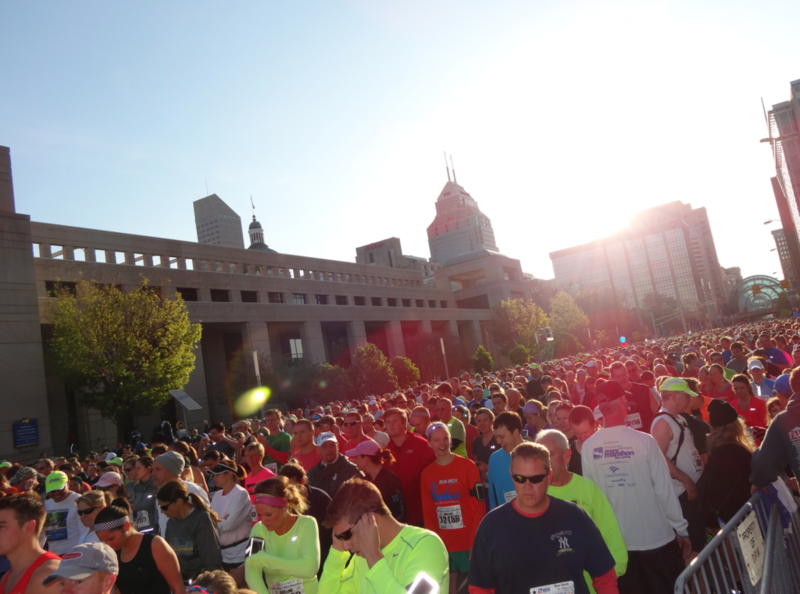 The course for the Min begins in downtown Indianapolis, and then heads west toward the Indianapolis Motor Speedway and does a complete lap around the 2.5 mile track before heading back downtown to the finish line. This is a fantastic race on a flat and fast course. Lord willing Nathan and I will be lined up in seeded corral A on May 4th, ready to go really low, and get the coveted “500” medal for being one of the first 500 finishers! Who else is running the Mini? Also looking forward to some awesome steak and shrimp cocktail at St. Elmo’s Steakhouse!